Apartment in the countryside in the pretty town of Groitzsch in Southern Zone of Leipzig. The cozy apartment is located in an apartment building in a quiet city location. Are located in the near vicinity of attractive leisure opportunities and the city of Leipzig is about 20 km away and to reach the town hall about 30 km and well. The Belantis Amusement Park is located at a distance of about 15 km and is also easily accessible. Excursions in the country and the beautiful Thüringen Kohrener are recommended. There is the possibility to use the garden to relax with. On the property there is a large dog kennel, where your favorite can stay. 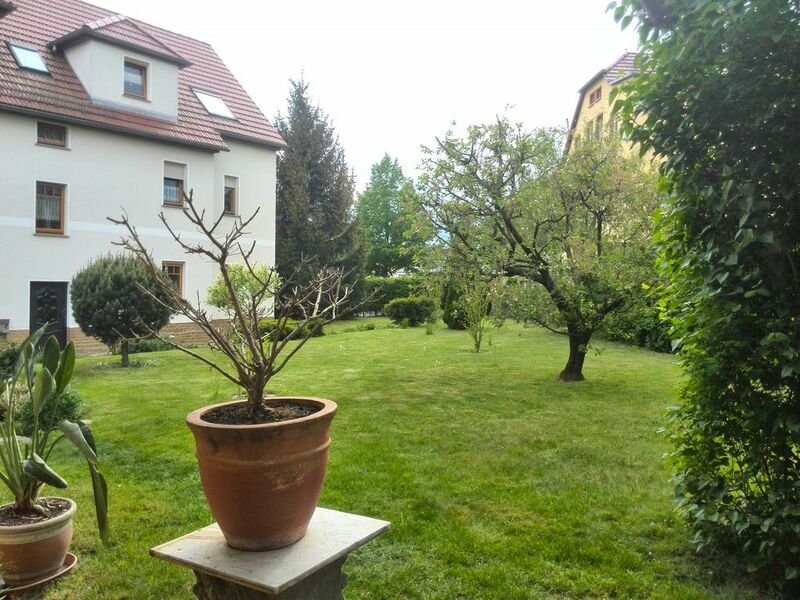 The apartment is located in the small town of Groitzsch, close to the center in a quiet green area. The Belantis Amusement Park is easily accessible. The proximity to the city of Leipzig and Halle offers many opportunities. Also for the placement of a large dog in the kennel with cottage can be taken care of. This is located in the adjacent garden which can also be used with. Hund nur im Zwinger möglich! Tiere in der Wohnung sind nicht erlaubt.